There are multitudes of different printing processes that can be used to print the product that you require. Each type of method is suited to a different need. Businesses can choose the service and can choose any printing technique that will highlight their products. Woodcut is the oldest known printing technique. People carved an image onto a wooden block and used it to transfer images onto their products. Blocks made from wood and hand carved are still used to print onto material or fabric. The print paste is applied to the design surface and then pressed onto the fabric. The process repeats itself until the pattern is complete. This application of printing is a monotonous and slow method and not used for high volume commercial needs. Very high speeds are possible with this method of printing. The printing company uses necessary roller printing equipment and copper-faced rollers. The designs are etched into the rollers . Separate rollers will be used for each different colour. After the imprinting phase, the fabric passes to the drying and steaming stages . Rotary screen printing machines have existed which can accomplish high production rates. There are two primary methods, the flat screen and the rotating screen method. 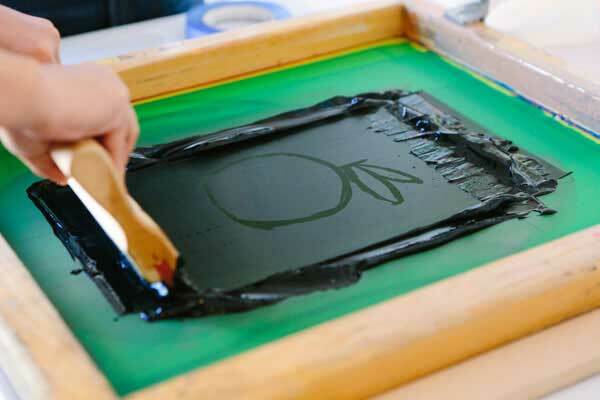 Heat Transfer Printing involves the transfer of a design from one medium to another. The design gets printed on special paper, using conventional printing machinery. Paper is placed in close contact with the fabric and heat is applied. The dyes transfer to the material through vapour caused by the heat. In Ink-Jet printing hundred of tiny guns are used to fire dots of ink on the paper. The characters are made up of dots, but they are so minuscule that they are invisible to the naked eye. The ink fired by heating and can explode like bubbles, or in jets. This method of printing comes from using photoengraved rollers. The result then looks like a photograph. 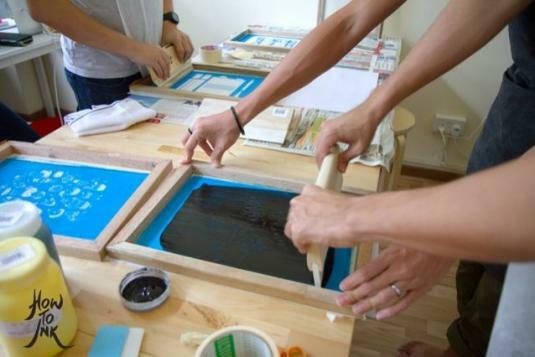 Screen printing also uses this method. This method of printing use pigments, instead of dyes. The pigment fixes to the surface of the fabric by synthetic resins, and it does not penetrate the material. The pigments are unsolvable. The application is in the form of water-in-oil emulsions. The colours produced are very bright. Burn-Out Printing is a process where you apply a particular chemical onto a woven fabric. The chemical action destroys one of the fibres creating a burn-out print. This method is common on velvet items. It is a printing method used with textiles already dyed with a solid colour. Then bleach is used and applied to the solid colours to produce a faded or white design. It reduces the dye and removes tone. There might be more methods than mentioned and techniques, but we have shared those most commonly known. This entry was posted in Methods of printing. Bookmark the permalink. Copyrights© 2018 imprimerie-sanjose.com. All rights reserved.